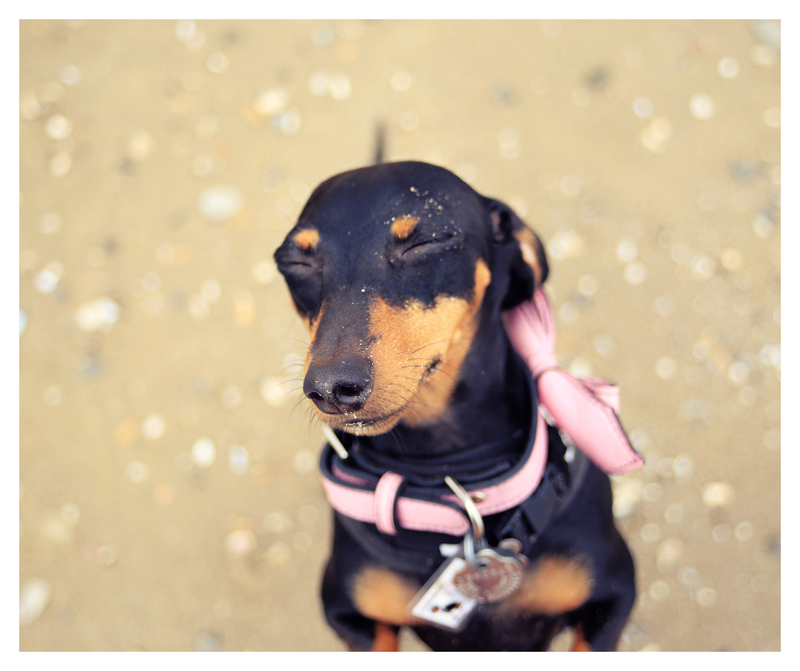 It’s no secret that I love to take my doxies to the beach, and that I love to photograph them at the beach. But I’m especially fond of these two photos. For me there’s a real sweetness to them, like a capture a moment. The top photo of Emily is priceless, and the bottom one of Rufus looking up at me with that fame gaze of his always tugs at my heart. The love between doxies and their humans, I believe, is best expressed in pictures. Have a wonderful day friends. Even with her eyes closed…..Emily is still smiling!! I agree with your statement about the love between dachshunds and their people. I have always had pets, dogs and cats. But my love for my 3 doxies is unreal and so very beautiful. I love to hold them and tell them how much their loved and I pray they understand….. 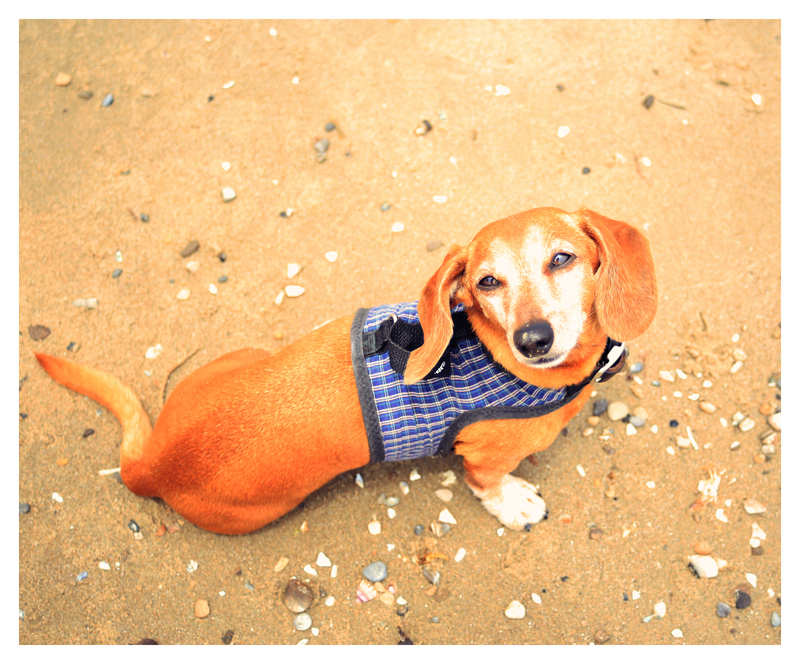 I also agree 100% with the human – doxie bond being special and different. It is something you have to experience, to truly understand and appreciate how stolen your heart can become. The deep connection these lovely dogs can form with people is amazing. Davy Jones is all I could ask for in a canine companion, and when he looks deep into my eyes, I see the gratitude and love just pour out from his gigantic Dachshund soul. Never have I had any creature, of any species, look at me with such pure adoration, and yes, with such Love. ps- Davy Jones thoroughly enjoyed meeting his new friends, Rufus and Emily!! (and it is true, I was surprised he got on so well with them, and right away, but then Rufus and Emily are champion heart melting stock! They melted mine, for sure!). I have noticed that Doxies seem to prefer other Doxies. I had a neighbor that used to walk her Doxies and they would end up in my front yeard and Gretchen would greet them. If the dog in my front yard was the pit bull from down the block Gretchen would go after him. Doxies seem to challenge anything. Anyone else have a Doxie like this?